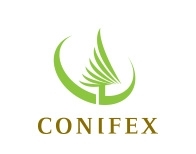 Aug. 10, 2018 - Conifex Timber Inc. has reported results for the second quarter ended June 30, 2018. EBITDA in the second quarter of 2018, which excludes countervailing and anti-dumping duty deposits of $8.2 million, was a record $20.8 million, compared to $9.3 million in the first quarter of 2018 and $10.2 million in the second quarter of 2017. Compared to the previous quarter, lumber segment EBITDA improved by $12.0 million in the second quarter. Compared to the second quarter of 2017, lumber segment EBITDA improved by $8.5 million and bioenergy segment EBITDA by $0.6 million. Commercial operations at our recently commissioned mill in El Dorado, Arkansas (the “El Dorado Mill”) have been recorded in our operating results from April 2018. The El Dorado Mill produced Southern Yellow Pine (“SYP”) lumber at an annual run rate of 100 million board feet in the second quarter of 2018, equivalent to approximately 56 per cent of two-shift capacity of 180 million board feet. As a result, the El Dorado Mill began making modest contributions to operating income and EBITDA in the second quarter of 2018. Our revenues totaled $200.3 million in the second quarter of 2018, an improvement of 53 per cent over the prior quarter and 72 per cent over the same quarter last year. Our revenue growth over the comparative quarters was mainly attributable to an increase in our lumber segment revenues. The commencement of commercial operations in April 2018 at our El Dorado Mill contributed approximately eight per cent of total revenues. Second quarter lumber segment operating earnings of $16.1 million represented increases of 140 per cent over the previous quarter and 126 per cent over the second quarter of 2017. Lumber segment operating results included countervailing (“CV”) and anti-dumping (“AD”) duties expense of $8.2 million in the second quarter of 2018, $6.3 million in the first quarter of 2018 and $4.6 million in the second quarter of 2017. The bioenergy segment contributed operating earnings of $1.4 million in the current quarter compared to $2.0 million in the previous quarter and $0.9 million in the same quarter last year. Operating earnings were $23.0 million for the first six months of 2018 compared to $7.9 million for the first six months of 2017. Revenues from Conifex produced lumber were $106.0 million in the second quarter of 2018 and represented an increase of 51 per cent over the previous quarter. The addition of sales from our El Dorado Mill contributed to approximately 21 per cent of the increase with the balance mainly attributable to a 19 per cent increase in shipment volumes and 10 per cent improvement in unit sales realizations from our B.C. mills. Lumber shipments, which were somewhat hampered by logistical constraints in the prior quarter, returned to more typical levels. The higher sales realizations generally reflected stronger lumber prices coupled with a modestly weaker Canadian currency. The growth in revenue of 50 per cent over the second quarter of 2017 was largely due to improvements in sales realizations of 23 per cent and shipment volumes of four per cent from our B.C. mills and the addition of revenues from the El Dorado Mill. Wholesale lumber revenues, which represented 37 per cent of total lumber segment revenues in the second quarter of 2018, increased by 71 per cent from the previous quarter and 152 per cent from the second quarter of 2017 due primarily to higher shipment volumes. Lumber production at our B.C. mills totalled approximately 132 million board feet during the second quarters of 2018 and 2017 and represented annualized operating rates of 98 per cent compared to 92 per cent in the previous quarter. Productivity in the first quarter of 2018 was somewhat hampered by winter conditions at our B.C. mills. Our El Dorado Mill produced approximately 25 million board feet of lumber which represented an annualized operating rate of 56 per cent based on two-shift production capacity of 180 million board feet. Bioenergy segment EBITDA was $6.0 million for the first six months of 2018, an improvement of 30 per cent over the same period last year. Our Mackenzie power generation plant (the “Mackenzie Power Plant”) sold 51.5 gigawatt hours of electricity under our Electricity Purchase Agreement with BC Hydro (“EPA”) in the second quarter of 2018, which represented approximately 94 per cent of targeted operating rates. Current quarter electricity revenues were 32 per cent lower than the first quarter of 2018 due to lower seasonal rates coupled with slightly reduced rates during the dispatch period. Electricity revenues were nine per cent higher than the same quarter last year due primarily to a relatively shorter dispatch period during the current quarter. Cash operating costs were generally consistent with the second quarter of 2017 and improved by 31 per cent from the first quarter of 2018. Our EPA with BC Hydro, similar to electricity purchase agreements with other independent power producers, provides BC Hydro with the option to “turn down” electricity purchased from us during periods of low demand by issuing a “dispatch order.” In January 2018, BC Hydro issued a dispatch order with respect to, among others, the Mackenzie Power Plant advising of a dispatch period of 112 days, encompassing the mid-May to early September 2018 period. Last year, the Mackenzie Power Plant, among others, was dispatched for 122 days encompassing the months of April, June, July and August. During the dispatch period, we only produce electricity to fulfill volume commitments under our Load Displacement Agreement with BC Hydro. We continue to be paid revenues under the EPA based upon a reduced rate and on volumes that are generally reflective of contracted amounts. Our net debt to capitalization ratio was 39 per cent at June 30, 2018 compared to 41 per cent at December 31, 2017. Excluding the effects of borrowings for our power subsidiary that are non-recourse to our other operations, our net debt to capitalization ratio was 25 per cent compared to 29 per cent at December 31, 2017. On July 9, 2018, we completed the previously announced acquisition of a sawmill in Cross City, Fla., (the “Cross City Mill”) and a sawmill in Glenwood, Ark., (the “Glenwood Mill”). The total purchase price under the Securities Purchase Agreement with the vendors was (i) cash consideration of US$153.1 million plus US$19.8 million, representing the estimated net working capital of the acquired mills at closing, (ii) $60.3 million through the issuance of 9,273,291 common shares of the Company (the “Shares”) to the vendors at a price of $6.50 per Share, and (iii) 3.5 million warrants to purchase Shares for a period of five years (subject to extension in certain circumstances for a one-year period) at an exercise price of $8.78 per Share. Brett Bray was appointed to the new position of vice-president, U.S. operations and will be responsible for leading the operations at our three U.S. South mills. Bray previously was the general manager of the Glenwood Mill and played a key role in the successful completion of a major capital project and commencement of commercial operations at the site. Bray also has previous leadership experience with other sawmills in the U.S. South and in the pulp sector.